lost her battle with Breast Cancer July 16, 2013.
even during the summer months. and even get a cold head in air conditioning. newly "uncovered" and can be very tender. I made a Video To help you understand the Cross Stitch rows and the Flower. This pattern is designed for teens and adults going through chemo. yarns can be itchy and painful on naked heads. When changing colors, ch 2 after the color change. For thicker brim repeat R: 16 till it is as wide as you like it. repeat 9 more times for 10 flower petals. Join to the 1st slst with s sl st. Attach a button of choice. 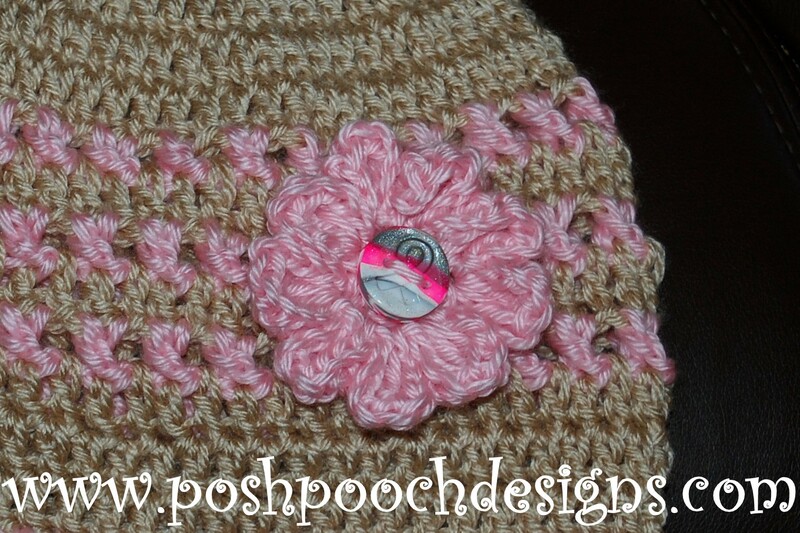 and pretty hat to wear. Do the starting chains in each row count for a DC? If so, how do you handle this in the 8th row, with the cross stiches? And how does the row end up when you come back around? Please help! no, the starting chs do not count as dc. Okay....so bare with me here... When you come around to the end of a row, you make the slip stitch in the top of the starting chains or in the first dc? No problem...You join with a sl st to the turning ch. 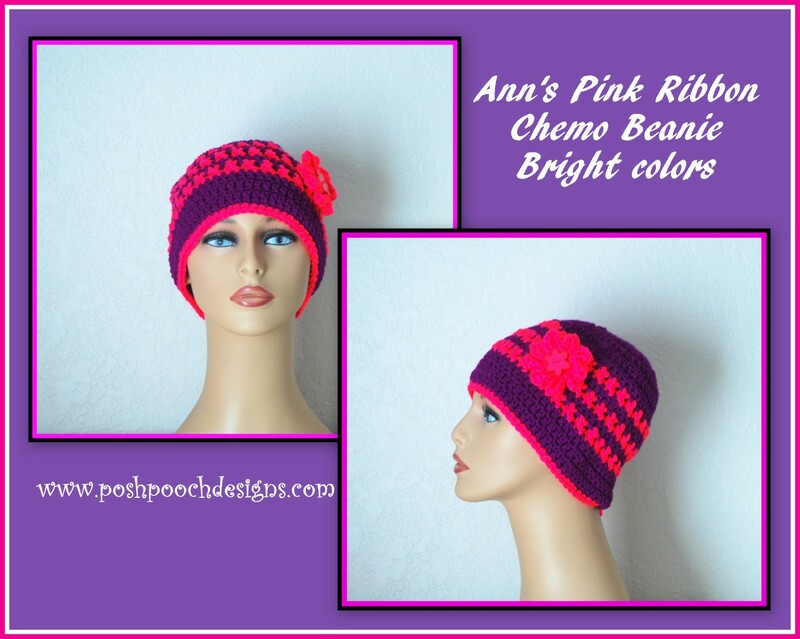 My name is Ruth Dortch & I would like to know where to send my completed Chemo Beanies.Thank You. E mail to ruthdortch@ymail.com. How many stitches after increases ? I am sorry, I don"t know what you mean by your question about increases. How do I go from 72 stitches in row 7 to 60 in row 8? I am so confused. This pattern has just been retested and updated. Hopefully the kinks have been worked out. Thanks so much for this cute pattern! Is the main color of the cap a light pink? It looks in the picture like it is a beige color. Thanks! Sara, I just looked through the pattern and see that the yarn is beige, should have read the pattern first I guess. Thanks again. yes, light beige. But you can use any colors you like. Row 5 should be 69 std total at the end? Thank you for this cancer beanie pattern. I really appreciate you. 💚 You're sweet and thoughtful. The Lord bless you. Do you have designer clothes for dogs as well? Pig Ears Are Yummier Then Pig Snouts!